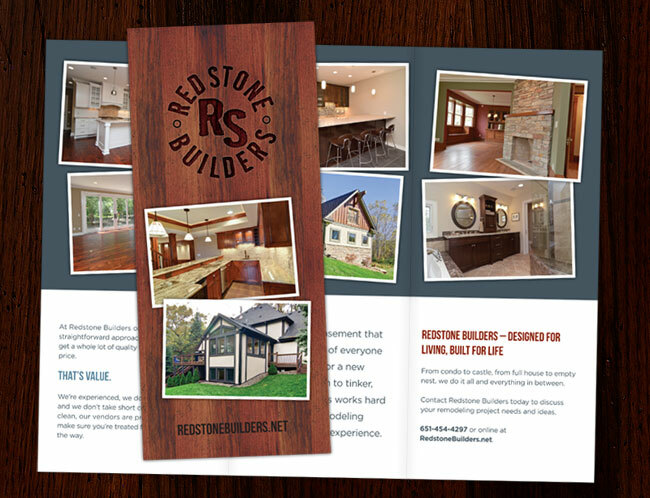 Redstone Builders in Eagan, Minnesota needed some marketing materials for an upcoming builder’s showcase. 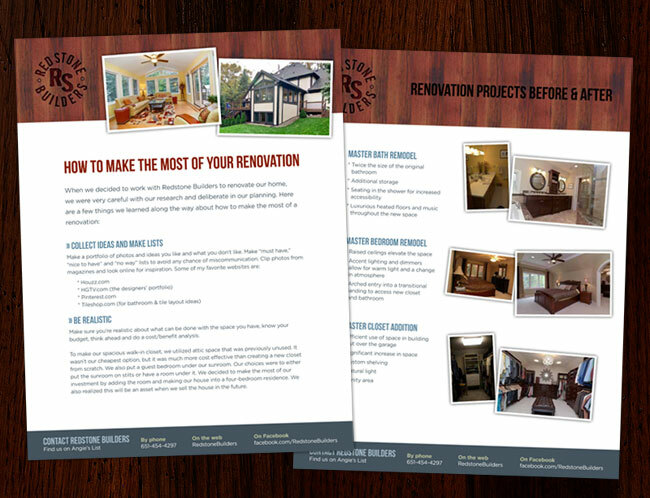 Featuring great photography of their past projects, we created a tri-fold brochure and several handouts that delivered a rich, visual of their high quality service. We used a warm, dark wood texture throughout and many photos laid out in a casual snapshot style to create a friendly and professional look for these materials.